The promotion of diuresis, in the prevention and/or treatment of the oliguric phase of acute renal failure before irreversible renal failure becomes established. The reduction of intracranial pressure and treatment of cerebral edema by reducing brain mass. The reduction of elevated intraocular pressure when it cannot be lowered by other means. The promotion of urinary excretion of toxic substances. Progressive heart failure or pulmonary congestion after mannitol therapy is started. Pregnancy Category Bâ€“Teratogenic studies in the mouse, rat and rabbit at oral doses up to 1600 mg/kg did not reveal harm to the fetus or adverse effects on reproduction due to mannitol. There are, however, no adequate and well-controlled studies in pregnant women. Because animal reproduction studies are not always predictive of human response, this drug should be used during pregnancy only if clearly needed. General Recommendationsâ€“Give mannitol injection only intravenously. The total dosage, concentration and rate of administration should be governed by the nature and severity of the condition being treated, fluid requirement and urinary output. Usual adult dosage ranges from 50 to 200 g in 24 hours but in most instances an adequate response will be achieved at a dosage of approximately 100 g in 24 hours. The rate is usually adjusted to maintain an adequate urine flow (at least 30 to 50 mL/hr). Test Doseâ€“In marked oliguria or inadequate renal function a test dose of mannitol should be given. The test dose may be approximately 0.2 g/kg (about 50 mL of a 25% solution) infused in three to five minutes to produce an adequate urine flow (at least 30 to 50 mL/hr). If urine flow does not increase within two or three hours a second test dose may be given. If there is an inadequate response the patient should be reevaluated. Prevention of Acute Renal Failure (Oliguria)â€“When used during surgery, immediately postoperatively or following trauma, 50 to100 g of mannitol as a 5 to 25% solution maybe given. 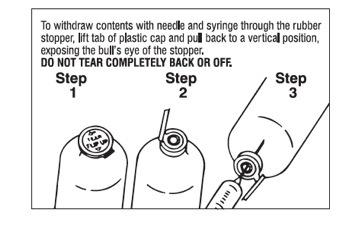 The concentration and amount will depend upon the fluid requirements of the patient. 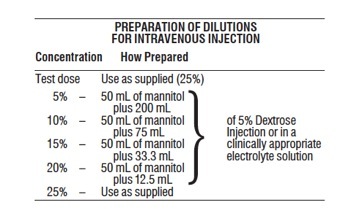 Following suspected or actual hemolytic transfusion reactions 20 g of mannitol may be given intravenously over a five minute period to provoke diuresis. If diuresis does not occur the 20 g dose may be repeated. If there is an adequate urine flow (30 to 50 mL/hr) then intravenous fluids containing not more than 50 to 75 mEq of sodium per liter should be given in sufficient volume to match the desired urine flow (100 mL/hr) until fluids can be taken orally. Treatment of Oliguriaâ€“The usual dose for treatment of oliguria is 50 to 100 g as a 15 to 25% solution. Reduction of Intracranial Pressure, Cerebral Edema or Intraocular Pressureâ€“A 25% solution of mannitol is recommended since its effectiveness depends on establishing intravascular hyperosmolarity. When used before or after surgery, a total dose of 1.5 to 2 g/kg can be given over a period of 30 to 60 minutes. Careful evaluation must be made of the circulatory and renal reserve prior to and during use of mannitol at this relatively high dose and rapid infusion rate. Careful attention must be paid to fluid and electrolyte balance, body weight, and total input and output before and after infusion of mannitol. Evidence of reduced cerebral spinal fluid pressure may be observed within 15 minutes after starting infusion. Urinary Excretion of Toxic Substancesâ€“Mannitol in 5 to 25% solutions is used as an infusion as long as indicated if the level of urinary output remains high. 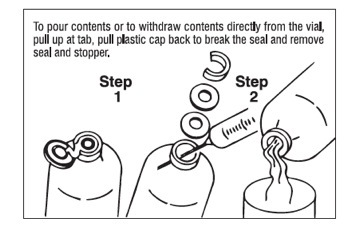 The concentration will depend upon the fluid requirement and urinary output. Intravenous water and electrolytes must be given to replace the loss of these substances in the urine, sweat and expired air. If benefits are not observed after 200 g of mannitol are given, discontinue it.